Rieker bring us 41390-10 DORISLING. 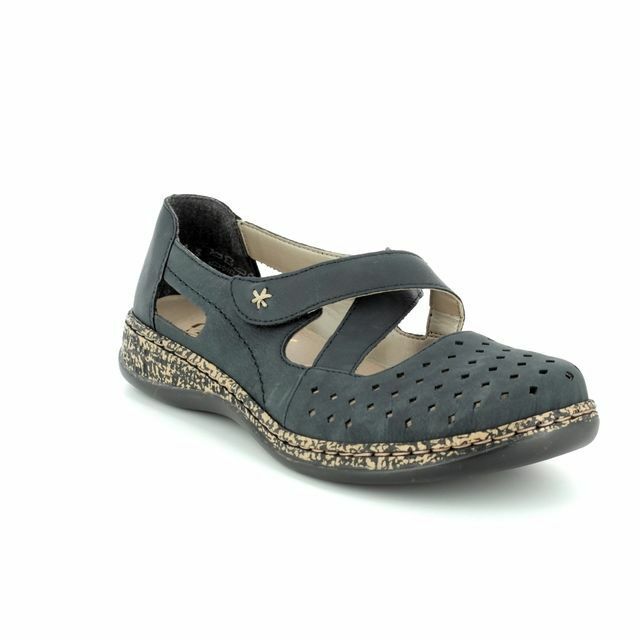 Perfect for the summer months, these ladies slingbacks effortlessly combine style and comfort. 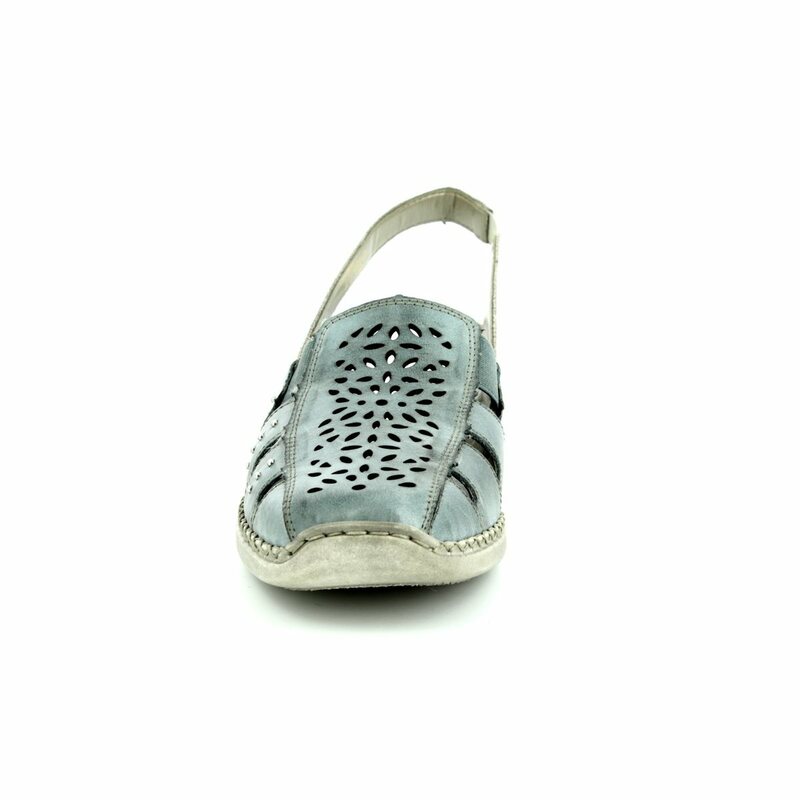 The denim blue upper of these ladies shoes features stamp detailing over the vamp while cut-outs to the sides ensure these shoes are ideal for the summer. Rieker have used elasticated panels in the sides as well as in the strap around the heel for a secure and easy to use fit. the 'DORI' last has been used when creating these shoes, the tapered toe box is typical to this last as is the 2cm approx. heel which adds lift to these slingbacks without compromising on the comfort offered by the use of Riekers ANTISTRESS technology. Also available in light taupe, these slingbacks are a summer wardrobe essential. 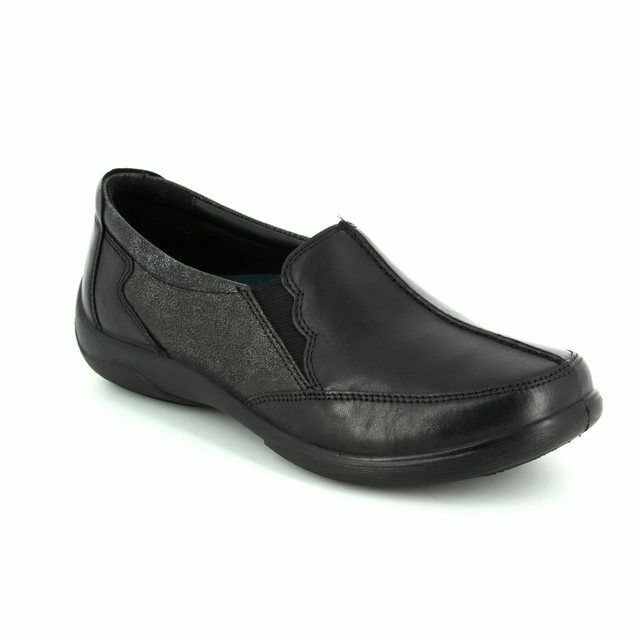 Buy your Rieker ladies slingback shoes from Begg Shoes, an official Rieker stockist.